We've been famously blending the finest quality teas since 1840 and we're just as proud of our teas now as we were back then. 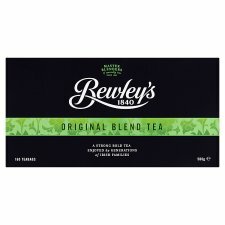 Bewley's was the first company to import tea into Ireland when Charles and Samuel Bewley chartered the tall clipper ship " The Hellas" and landed 2,099 chests of tea all the way from Canton, China into Dublin. In daring to be so bold, they signalled the end of the East India Tea Company's monopoly and changed the taste of a nation forever. To this day their spirit of excellence and originality continues to inspire us to create the finest blends of tea for you. Our Master Blender carefully selects our tea from the best tea gardens in the world: Kenya, Rwanda and India, sourcing only the finest teas based on leaf appearance and infusion qualities such as flavour, colour, strength and briskness.